National Brownie Day: Guide to the Ultimate Brownie Treat! Yep. I know what you’re thinking. There’s actually a day for brownies? Since when did we need a reason to indulge in some (sinfully) delicious treat? We leave it up to you to decide! The best part about brownies is the different forms and variations they come in; whether they have chocolate chips, nuts or an accompanying sauce, brownies are the real dessert champions. Brownies truly deserve a category of their own; they’re thick, chewy, fudgy and even deliciously cakey – All at the same time! There’s so much that you can do with brownies, the possibilities are endless. Here’s a guide to treating yourself to the ultimate brownie delight. From the classic chocolate brownie cake to chewy brownie cookies, don’t forget to save some room for brownies and then some more! Let’s start with the holy grail of brownies. Nothing beats a warm chocolate brownie fresh from the oven. Top this gooey hot chocolate brownie cake with fresh whipped cream or vanilla ice cream for the ultimate indulgence! What's better than Brownies? Cookie Brownies. These are super chewy and make the perfect dunking companion with your favorite cup of steaming coffee! If you’re fond of fudgy centers and chewy-edged bites, this recipe of Chewy brownie cookies will be a treat for your tastebuds! They’re thick, incredibly fudgy and every kid’s dream come true! Gluten-free, tender and delicious, this recipe of Oatmeal Brownie Bundt cake is simply irresistible. Whip one of these decadent creations and sit back and enjoy this feast! Raise your hands if you’re fans of the rocky road ice cream! 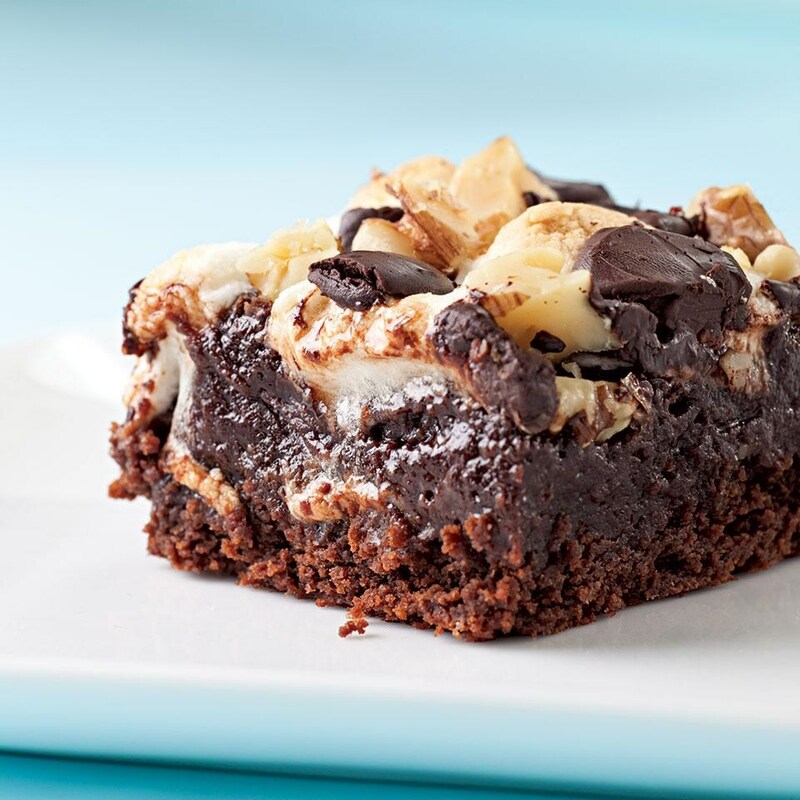 This recipe of Rocky Road Brownie ties in the best of brownie and rocky road ice cream together. So moist and gooey, this is definitely going to be your favorite brownie recipe! Baking Essentials to get you started! Newer PostKitchen Deals for a Steal! Older PostHot Black Friday Deals!